No matter what type of product a brand sells, the price of the products will affect the success of a business. Correctly pricing products can be challenging, but the main rules of pricing are simple. The prices should cover profits and costs, and to lower prices, it’s a good idea to lower costs. Carefully consider how much it’s going to take to run a business and whether a product or service will cover the costs. The last thing anyone needs is not to make enough money on a product and then have a business fail. In fact, not only succeeding but exceeding your profit expectations should be the goal. We can help you get there in our free webinar training. You’ll learn what essential techniques you should be applying to help your business grow and make money! In this article, we offer some strategies to consider so you can correctly price a product while using a smart money mindset. 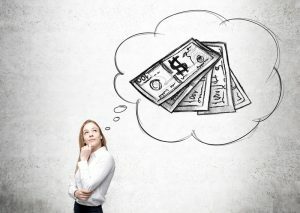 Money mindset is a set of beliefs we have about what money means to us, what it says about us, and who deserves to receive it. When you charge money for a product, do you feel the urge to give that money back? If you put a high price tag on your product, does it make you feel like it is really not worth that much? Do you feel that people should keep their money in their pockets and just learn how to Google stuff so they don’t have to pay you for your product? Do you feel better when you give free advice than when you charge for it? Like helping for free is the right thing to do, and charging for it is icky? If you answered ‘yes’ to any of these questions, you are in the same boat as a lot of other entrepreneurs are and you may have some trouble pricing your products correctly. Undertaking some sort of market research is essential to getting to know your customer, Willett says. This type of research can range from informal surveys of your existing customer base that you send out in e-mail along with promotions to the more extensive and potentially expensive research projects undertaken by third party consulting firms. Market research firms can explore your market and segment your potential customers very granularly — by demographics, by what they buy, by whether they are price sensitive, etc.. 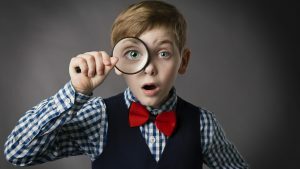 If you don’t have a few thousand dollars to spend on market research, you might just look at consumers in terms of a few distinct groups — the budget sensitive, the convenience centered, and those for whom status makes a difference. Then figure out which segment you’re targeting and price accordingly. The author on Content Creator recommends not getting so fixated on a project that you have a hard time letting it go. Yes, you put your heart and soul into the project, but at some point, you have to move on. Put a price on it that seems fair and move on to the next project. When you create your first product it is as if you have just created the one thing all your dreams were made of. You have put your heart and soul into the creation of this new product baby, and you want to make sure it is successful, happy and makes you proud. The problem with that mentality is that it makes you believe that nothing you could ever create could ever compare to how you feel about this one. Let it go. You have so much more to offer to your audience. When you have only one product, pricing seems like such a big deal; but when you think about all the other revenue streams you are planning on creating, this product is simply one piece of the puzzle. Taking cost-plus pricing into consideration should be a part of your pricing strategy, but as Marketing Donut points out, it’s essential to add a margin to your break-even point. Consider cost-plus pricing. You will need to add a margin or mark-up to your break-even point. This is usually expressed as a percentage of break-even. Industry norms, experience or market knowledge will help you decide the level of mark-up. If the price looks too high, trim your costs and reduce the price accordingly. Be aware of the limitations of cost-plus pricing, because it works on the assumption you will sell all units. If you don’t, your profit is lower. Know the market. You need to find out how much customers will pay, as well as how much competitors charge. You can then decide whether to match or beat them. Simply matching a price is dangerous, though – you need to be sure all your costs – both direct and indirect – are covered. Entrepreneur further elaborates on how to price your products based on competition correctly. Competitive pricing is generally used when there’s an established market price for a particular product or service. If all your competitors are charging $100 for a replacement windshield, for example, that’s what you should charge. Competitive pricing is used most often within markets with commodity products, those that are difficult to differentiate from another. If there’s a major market player, commonly referred to as the market leader, that company will often set the price that other, smaller companies within that same market will be compelled to follow. To use competitive pricing effectively, know the prices each competitor has established. Then figure out your optimum price and decide, based on direct comparison, whether you can defend the prices you’ve set. Should you wish to charge more than your competitors, be able to make a case for a higher price, such as providing a superior customer service or warranty policy. Before making a final commitment to your prices, make sure you know the level of price awareness within the market. You may also want your product to be known for its quality, rather than just being the cheapest on the market. If so, you may want to price your product higher to reflect the quality. During a downturn, you may have other business priorities, such as sheer survival, so you may want to price your products to recoup enough to keep your company in business. Don’t forget to test out your product or at least come up with ways to test your market before putting your main product out there. Forbes has more thoughts on how to test potential customers. It is typically easier to adjust your prices downward than it is to increase them. Your consumers are also more likely to continue purchasing your product given the first scenario. This means that offering your product at a strategic price point upon release is important. By offering your product at too high of a price, you could face difficulty graining traction in the market. At the other end of the spectrum, price your product too low, and you could be leaving value on the table and slowing your company’s growth. If possible, conduct A/B testing as your final step to determine your acquisition and retention rates at different price points. For example, suppose you are offering a subscription-based service. You could test different price points and subscription lengths. This could include comparing monthly versus yearly plans, and different pricing options for each. Now that you know a few strategies to apply when you’re trying to figure out how to price your products, attend our free webinar training to learn how to increase your earning potential! We have some incredible experts who will be soon be joining us during the live webinar. Make sure to put your name and email on our sign up form so you won’t miss this incredible opportunity!